MOUNT PLEASANT, WI DECEMBER 9, 2018 – An hour-long podcast from Gimlet Media’s popular “Reply All” show has focused its attention on the Village of Mount Pleasant, future home of Foxconn’s $10 billion LCD factory. Through recorded interviews with Village officials, financial experts and local residents, combined with archived audio recordings of Village meetings, the episode titled “Negative Mount Pleasant” tells the story of Mount Pleasant’s secretive race to secure the most expensive corporate development project in American history. Reply All reporter and interviewer Sruthi Pinnamaneni and program producer Jessica Yung traveled to Wisconsin in October and spent nearly a week in Mount Pleasant interviewing Village President David DeGroot and residents Al Gardner, Sean McFarlane and Kelly Gallaher, who were featured in the broadcast. The program also features interviews with University of Iowa economist David Swenson, Wall Street analyst Alberto Moel, municipal financial advisor Todd Taves, and investigative journalist Larry Taback. “Negative Mount Pleasant” begins by highlighting the somewhat contentious political environment found in pre-Foxconn Mount Pleasant, with then candidate for Village President David DeGroot’s public accusation that his opponent and Gallaher had instigated the egging of his house. Weeks later, leading up to the Foxconn announcement in Mount Pleasant, newly elected Village President DeGroot is censured by the Village Board after he threatens to have resident Al Gardner and Trustee Jon Hansen forcibly removed by police during a Village board meeting and refuses to allow Gallaher to ever speak again until she first submits a written and oral apology to him. These dramatic recordings serve as the podcast’s foundation for how this part-time Village Board and President will interact with residents once the Foxconn factory location is announced in October 2017. The public was not allowed to read the development agreement between Mount Pleasant and Foxconn until it was approved by the Village Board in late November 2017, and Trustees who met in closed session negotiation meetings were prohibited from discussing the details with residents. 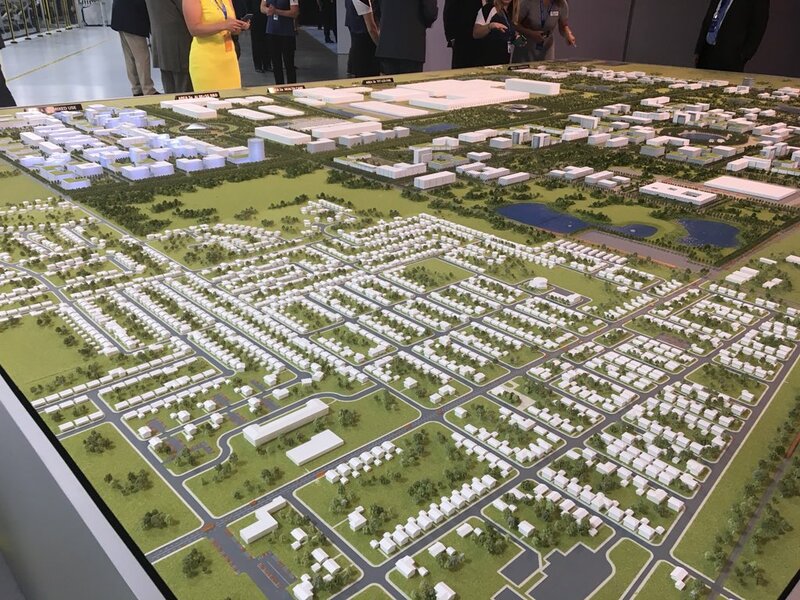 While the controversial state incentive package offered to Foxconn has come under intense scrutiny since it was announced, to a lesser extent, the financial incentive package offered by Racine County and Mount Pleasant is understood. By contrast, in the interview with David DeGroot, the Village President offers a childlike exuberance for the deal, offering little understanding of the impact on residents or potential financial implications. The podcast ends with the voices of Village residents protesting the use of blight and eminent domain actions by the Village to clear the 3,000 square acres of land Foxconn requires. The most poignant moment provided by resident Sean McFarlane, a handicapped father of four who willingly moved into a temporary house for the Village, only to find it dirty and unsuitable to his wheelchair mobility needs. Days after moving in, Village contractors withdrew McFarlane’s promised relocation benefit package, leaving him fearful of becoming homeless and tearfully pleading for help from silent Trustees. On the popularity of the show which is downloaded on average 5 million times each month. A Better Mt. Pleasant is a nonpartisan, community organization dedicated to advancing a fair, accountable and transparent local government in Mount Pleasant, Wisconsin.